While we have set ourselves up quite nicely on our small block, it's not enough. There's a lot that you can do to prepare for change, to reduce your overheads and provide for more of your own needs where you live, but if times really do get tough, what happens to everyone else? There's only so many pieces in my pie. I've been following the work of Nicole Foss on her blog The Automatic Earth for a few years. She's helped me get my head around why another economic crisis is on the way and what we need to do to prepare for it. Realising the scale of change that we confront and the speed at which it will affect us has helped motivate me to raise this awareness in my local community. On hearing of her latest tour I met with the new BEAM committee (I stepped down as president last month) to put forward a proposed event. With BEAM's support, I've taken it on and are bringing Nicole to Seymour on Thursday the 2nd of October. We'll be having a bit of a BBQ in front of the VRI Hall (near the railway station car park) from 6pm, with the event kicking off at 7pm - $10 per person, students free. I'll be making a short presentation about how our local communities have been working behind the scenes to prepare already and put some of what she has discussed into a local context. I'll also have some permaculture publications available for sale on the night. If you live somewhere nearby I hope you can join us - should be a great evening that will stimulate some great discussions, and hopefully actions. What if housing prices took a sudden drop? If the next financial crisis was worse than the 1930's Great Depression? If fuel and food prices skyrocket? International speaker and writer Nicole Foss, who toured recently with David Holmgren, will come to Seymour on Thursday October the 2nd to explain why we are facing an era of financial crisis and rapid economic contraction and what we can do about it. She will address the implications of the global situation and the need for us to simplify our lives and focus on building resilience in our local communities. In her solution orientated presentation, Nicole will be detailing what we can do in advance to secure our families and communities for the long term in light of a coming period of uncertainty. She will discuss alternative methods of trade and ways to organise ourselves in challenging times. There will be advice on how to prepare for fossil fuel shortage and economic collapse, looking at the range of choices available to people at the individual, family and community levels. 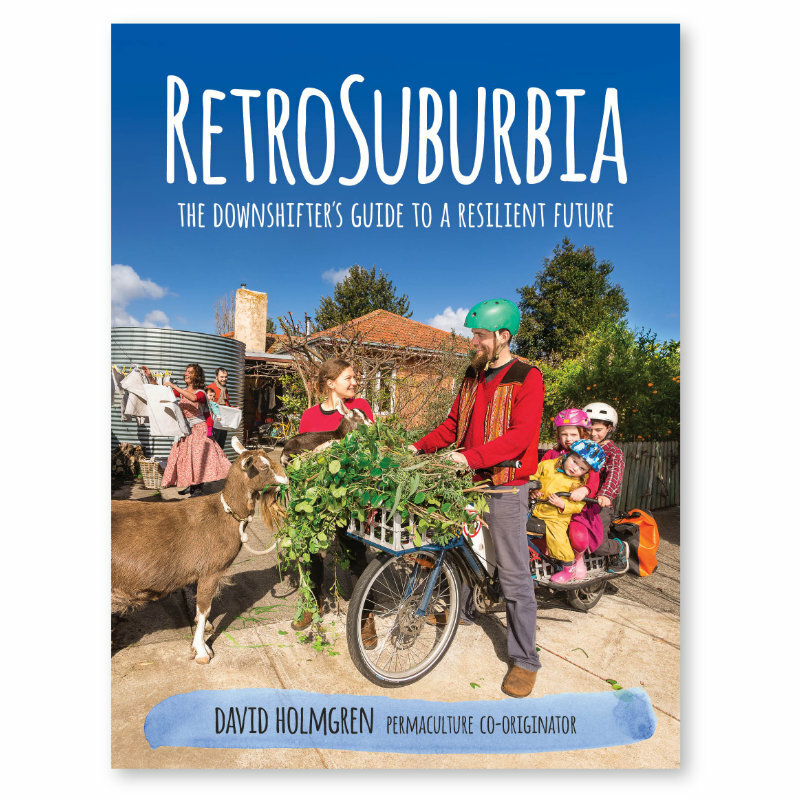 She’ll explore the advantages and disadvantages of living in various environments; urban, rural, suburban retrofit, intentional communities and eco-villages. Nicole will share practical views on how to prepare for the looming threats of financial crisis, peak oil and limits to food and water supply. While collapse may or may not be imminent Nicole provides a vision for the future to make any eventual fall less severe for those who prepare. Arrive at 6pm for BBQ, event starts at 7pm on Thursday the 2nd of October at the VRI Hall near Seymour Railway Station. Cost $10. Free for students. Brought to you by BEAM: Mitchell Environment Group. Nicole M. Foss is co-editor of The Automatic Earth (TAE), where she writes under the alias Stoneleigh. She and her writing partner have been chronicling and interpreting the on-going credit crunch as the most pressing aspect of our current multi-faceted predicament. The site integrates finance, energy, environment, climate, psychology, population and real politik in order to explain why we find ourselves in a state of crisis and what we can do about it. Prior to the establishment of TAE, she was previously editor of The Oil Drum Canada, where she wrote on peak oil and finance. Nicole ran the Agri-Energy Producers' Association of Ontario, where she has focused on farm-based biogas projects and grid connections for renewable energy. While living in the UK she was a Research Fellow at the Oxford Institute for Energy Studies, where she specialised in nuclear safety in Eastern Europe and the Former Soviet Union, and conducted research into electricity policy at the EU level.